Turn your pony into the best synthesizer ever. 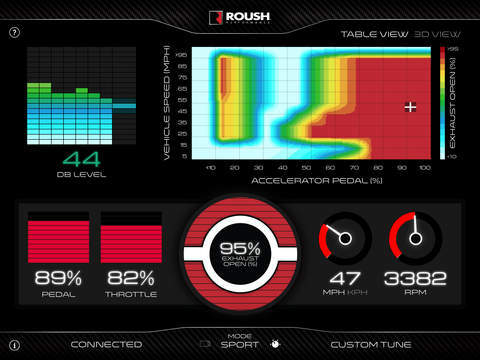 The folks at Roush Performance have always known how to make a Mustang fast. Their Stage 1 package is a gateway-drug, Stage 2 an off-label narcotic, and Stage 3 full ayahuasca material. Now, they’re trading in their coaching cleats for tuning forks. 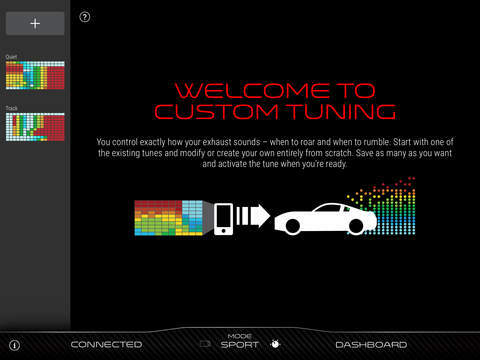 Roush has introduced an iPhone app that lets Mustang owners create a personalized exhaust note. Here’s how it works: Roush’s existing active exhaust kit, an optional upgrade to the firm’s aftermarket pipes, adds internal solenoids that operate valves that muffle or enhance sound. Three modes come preloaded: Touring, Sport, and Track. This app is, essentially, an open-source tuner for that kit, unlocking a fourth mode, Custom. After downloading the Roush Exhaust iOS app (Android version forthcoming), you plug a Wi-Fi dongle into your Mustang's OBD port. This gives you control to adjust the exhaust valves’ position, and all using the car’s existing wiring harness. 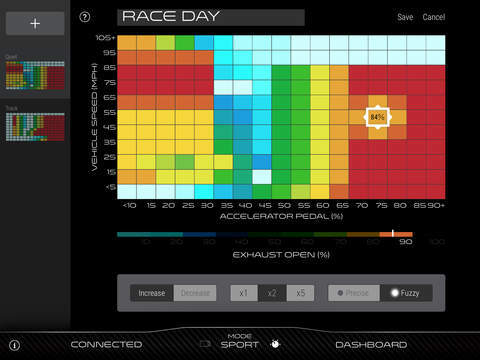 The app also provides a graph with speed on one axis and throttle position on other, allowing owners to map exactly when they’d prefer their car to let loose. This setup is compatible with both four- and eight-cylinder Mustangs. Prefer a banshee under 10 mph and a church mouse at anything faster? Fine. 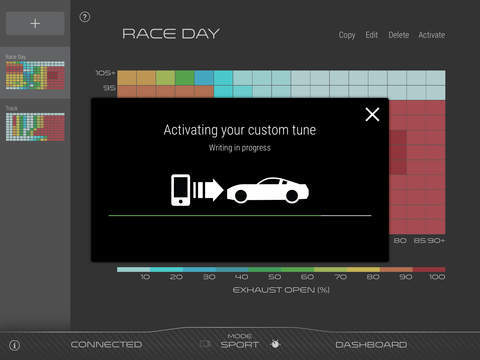 Like your Mustang cacophonous at initial pedal engagement, but strangely silent as your accelerate further? Neat. 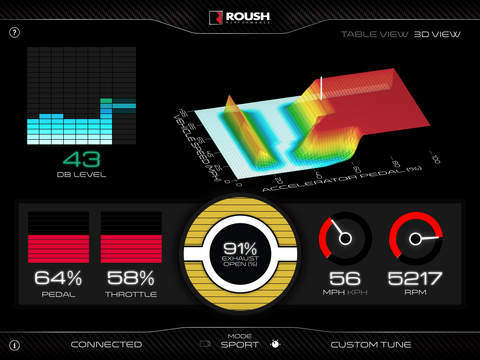 Roush’s app allows owners to indulge their sonic whims to a tee, no matter how poor (or great) their tastes. Technology at its finest. Own a Mustang with a Roush exhaust? Grab the iOS app, here.